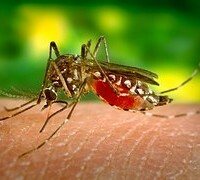 Yellow Fever is a mosquito-borne illness present in tropical South America and Africa. Symptoms include a sudden fever, vomiting and collapse. If untreated it can develop to haemorrhagic symptoms and jaundice. The fatality risk can be as high as 70%. As this is such a devastating disease, Australian authorities take the threat of the disease being introduced here very seriously. Australia is host to the particular breed of mosquito, the Aedes Aegypti, that can spread the disease. Proof of vaccination, upon return from any country that "may" have the disease, may be requested. This includes popular destinations such as Kenya, Tanzania, Peru and Brazil, even though these countries have few, if any, cases of yellow fever. Custom officials have the power to detain and quarantine you at the airport if they so choose. For this reason it's advisable to have a vaccination certificate. Our specialists can discuss this very complicated topic with you during your consultation. In addition, Yellow Fever vaccination is required for entry into or out of some African and South American countries where the disease is sometimes present. In many countries where the carrier mosquito is present, but the disease is not, proof of vaccination is required if travelling from a Yellow Fever infected area. These countries constantly change and it is why you must attend an accredited clinic, such as the Travel Bug Vaccination Clinic, for this vaccination. The Yellow Fever vaccination and the international certificate are valid for life. However, the certificate is dated 10 days from administration of the vaccine to allow time for the vaccine to become effective. Rare but serious, immediate, hypersensitivity reactions can occur - characterized by rash and breathing difficulty. There have been reported cases of liver failure and hospitalization for serious illness (4/100,000) from the vaccine. Yellow Fever vaccination is not recommended for infants under six months old, pregnant women, those with altered immune status (e.g. those with HIV, Leukaemia, or undergoing chemotherapy), or those with a hypersensitivity to eggs or egg products. If these factors apply to you or any of those travelling with you, please discuss them with the specialist during your appointment. You will be required to stay within the clinic for 20 minutes after your vaccination has been administered to ensure you do not have an immediate reaction.